Barn Find Dealership Abandoned 50 years with CARS on LOT, NEW IMPALA MORE inside!!! Check this, Barn Find Dealership Abandoned 50 years with CARS on LOT, NEW IMPALA MORE inside!!! First of all let’s get to the “elephant in the room” we cannot vouch that the tittle is one hundred percent accurate because many of those cars do not look like they have been abandoned for half a century and there are quite a few reasons we say this. First off, all the cars inside still have air in their tires and although those guys back then knew how to make quality products, we are still not sure they could have kept the air for all those years. The second reason that we doubt that the tittle is entirely correct is the fact that the chrome on those vehicles looks pristine and has not started to peal, and once again, we are sure that the cars were very well made back then, but that might be just too much even for them, be that as it may it is still a great collection which definitely deserves your time, so check it out and tell us what you think. 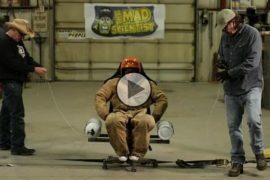 This Will Happen If You Mount 2 Nitrous On Chair! AZN Nitrous Chair! 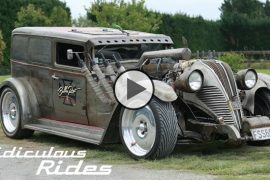 Mechanic Builds Crazy 130mph Rat Rod and Truck! 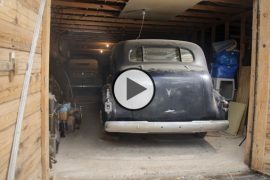 Unbelievable Texas Barn Find: Five Pre-War Automobiles Discovered!! Previous articleThey Installed Quad Turbos and see what happens!! 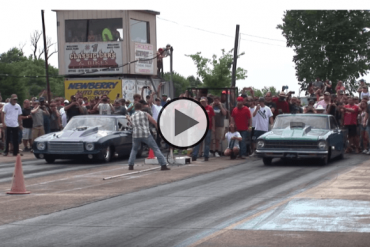 Precious “Heifer” Nova Smoke Doc “Street Beast” in Real Street Race!